Now a days there are lots of opportunities to work online from home as online transcriptionist due to huge demand for online workers. You can simply make $10 – $20 an hour by transcribing at average speed. 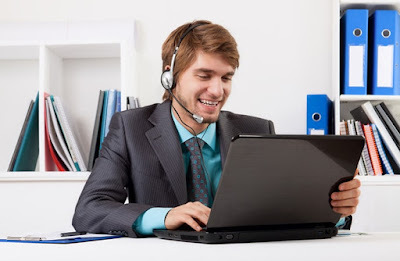 People with good listening and conversion skill can highly succeed in the transcription career. Anything is tough to start, but after starting and gaining experience it will look like nothing – this highly applies to this job. Transcription is the process of converting something in oral form to written form. In simple it is the conversions of audio (incl. video recording) to written document. This is a type of data entry. According to the job nature you will be asked to enter converted information in MS office word, skype, physical paper or specially designed transcription software. There are two types of transcription work – Real time data transcription and non-real time transcription (incl. offline transcription). Real time transcription involves in audio to text conversion on live. Mostly for these jobs people will be directly recruited by companies through interviews. This job is also available for freelancers, but only people with best skills of processing 200 – 300 WPM can qualify. In case of non real time recording will be transcribed. Here, it includes offline conversion, online conversion etc. Each company has various requirements for workers. However these are mandatory for a good transcriptor. To qualify for this work the basic requirement is listening skill. You should be able to understand the recording and transcribe immediately. This applies for all languages. Average transcriptors can process 70 WPM. This is the requirement level of most of the companies. You should have good grammar knowledge. You should very well know about punctuation marks and its usage. Technical jobs like medical transcription requires special qualification like associate degree and experience. To work from home you should own a PC with high end ear phone (head set). This is the job for beginners. This type of job is specially designed for beginners. Pre-recorded voice transcribing, recorded video transcribing are the jobs that will be assigned for beginners. For every company as a beginner you should qualify in basic assessment. To join this job you should join a transcription website or submit your proposal to the company. After assessment and review you may be hired. If you are experienced in this field you can work as transcription reviewer from home itself. A transcription reviewer will review the work done by the normal worker and find the errors, accuracy level, grammatical mistakes etc. Companies pay huge amount for transcription reviewer in hourly and number of document basis. To become a reviewer you must have working experience as transcriptionist. Legal transcription is the process of converting the voice of legal professionals like magistrate to text document. To do this job you don’t need any special qualification. To apply for this job the person should have good skill in every aspect. Speed and accuracy is very important for this job. In medical transcription the medical professional will have to transcribe the words dictated by the physician. These are the requirement for this job – certification in medical field, good accuracy in language and grammar, medical terms, stress management, high concentration etc. Only experienced medical transcriptionist will get a home based job, where the work can be done from home. This job can be found in local companies especially in USA. Qualified workers will be hired and will be paid on project basis. Data will be provided offline you have to transcribe the data and submit the result to the company. Companies will allow to work from home, also direct dealing will help to prevent scam. Transcription jobs are available through various sources, few sources are mentioned here. Tags : Online transcription jobs working from home to earn money.